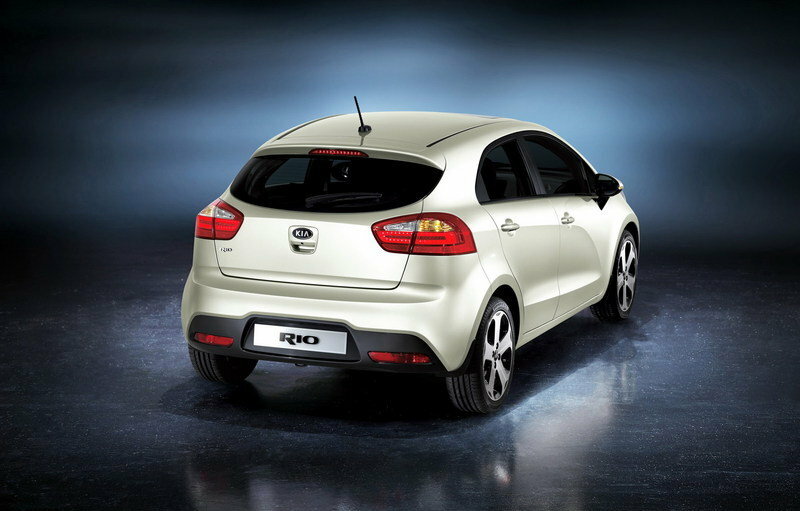 The fourth generation Kia Rio made its world debut at the Geneva Motor Show and will be put on sale in five-doors version from September with the all-new 3-door model on sale from early 2012. 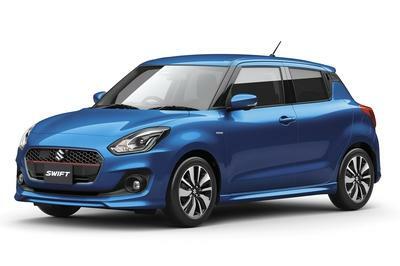 Both versions will be manufactured exclusively at Kia’s Sohari plant in Korea. 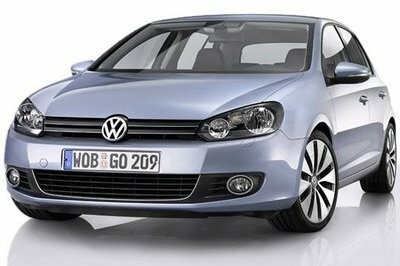 Compared to the previous generation the new Rio model is longer by 20 mm, wider by 25 mm, and lower by -15 mm and features a wheelbase extended by 70 mm to 2,570 mm – greatly enhancing passenger space and cargo capacity. The new Rio will be offered with a choice of four highly efficient three- and four-cylinder engines with power ranging from 70-to-109 HP. When powered by the 109 HP version, the new Rio will sprint from 0 to 60 mph in 11.5 seconds and will hit a top speed of 112 mph. 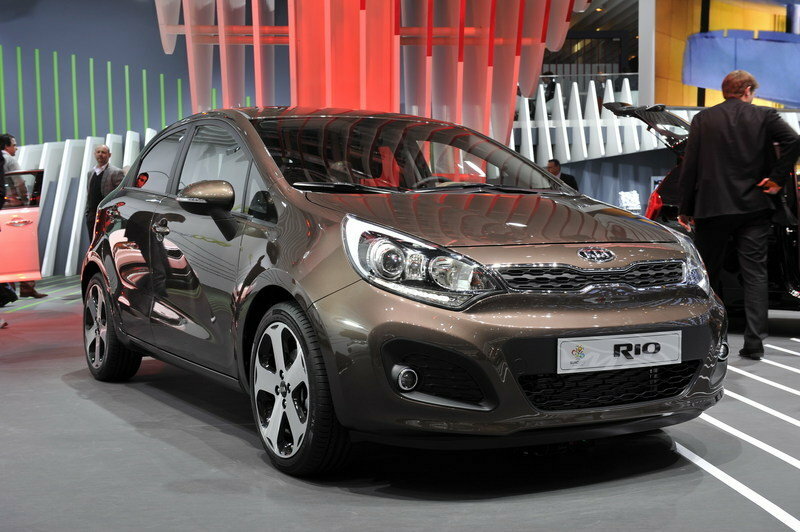 UPDATE 09/26/2011: Kia has announced that the all new Rio will go on sale with prices starting from under $14,000. On the US market, prices for the all new Rio will start from $13,600 for the 5-door manual version, $14,700 for the 5-door A/T and will go up to $18,000 for the top of the line SX. Hit the jump to read more the 2012 Kia Rio. 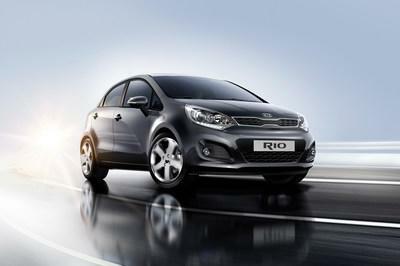 The new Rio has feature the Kia corporate new grille which is integrated with the front lamps to create a new twist on the Kia family look, with the Kia logo siting above the grille. Below the grille, the treatment of the front bumper and spoiler again shows signs of the Kia design DNA. The car also gets a strong and stable rear, flowing C-pillar and dominant high shoulder. The coupe-like roof-line contrasts dramatically with the rear bumper and gives a power and solidity to the rear view. On the interior the car gets a clean sophisticated theme. The concept follows the corporate Kia interior philosophy with the characteristic horizontal instrument panel, accentuating the feeling of width and space. 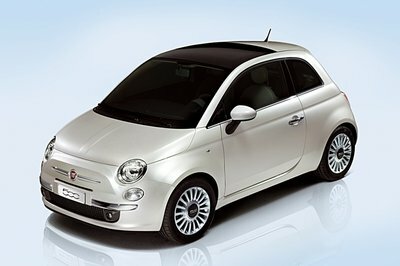 Customers will get: smart-key entry system, RDS radio CD player with MP3 compatibility plus AUX, iPod and USB connections, Bluetooth® handsfree (with voice recognition available from December 2011), climate-control air-conditioning, heated front seats and LED daytime running lights. As for the engine line-up, the new Rio will be offered with a choice of four highly efficient three- and four-cylinder engines with power ranging from 70 to 109 HP and a CO2 base-line rating from just 85 g/km, plus fuel consumption as high as 88.3 mpg. Standard transmission for both diesels and the larger petrol engine will be a six-speed manual gearbox, while the 1.25-liter 85 HP petrol engine has a five-speed box. 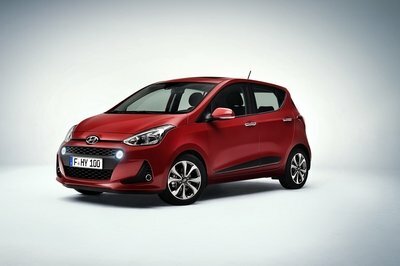 A four-speed automatic gearbox will be available as an option on the 1.4-liter 109 HP petrol engine. The engines will be combined with automatic stop-start, advanced alternator control, upgraded starter motor and low-rolling resistance tires. On the US market, prices for the all new Rio will start from $13,600 for the 5-door manual version, $14,700 for the 5-door A/T and will go up to $18,000 for the top of the line SX. Standard equipment on the SX version includes: 17-inch alloy wheels and class-exclusive LED headlamp and tail light accents, a sport-tuned suspension with larger front brakes, projection headlamps, twin chrome exhaust tips, fog lamps, as well as standard UVO powered by Microsoft(5) voice-activated infotainment system (expected to be available this fall) with a 4.3-inch color touch screen and rear camera display. The only question coming now is: are all these changes enough to make the new Rio standing in front of its greatest competitors: the newFord Fiesta and the Mazda2. 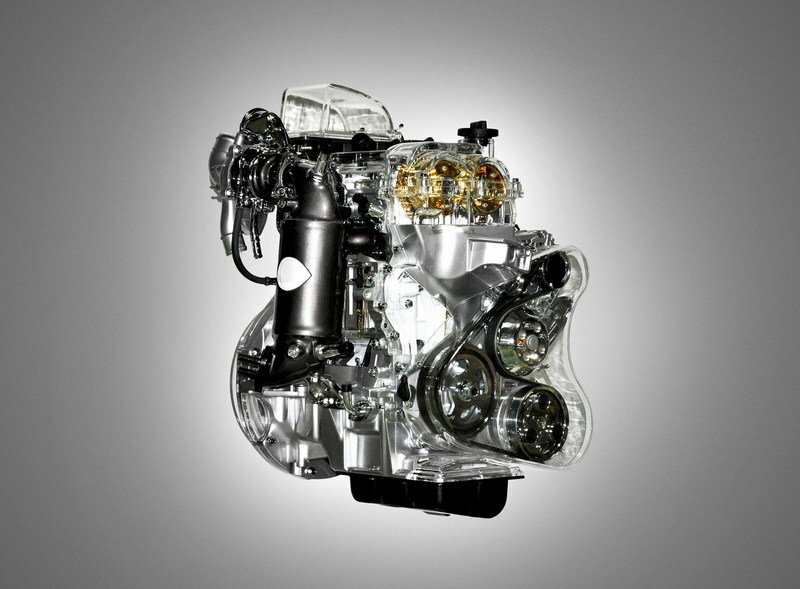 The Fiesta gets a wide range of engines: 1.25-liter (60 and 80 HP) and 1.4-liter (91 HP) Duratec petrol engines; the 1.4-liter (68 HP) and the 1.6-liter (90 HP) diesel engines. Fiesta will be offered with Ford Durashift 5-speed manual transmission or the Durashift 4-speed automatic transmission (available with 1.4-liter (91 HP) Duratec engine). And to be honest is much better looking than the Rio. Another impressive car is the Mazda2. On the US market it is offered in two trim levels – the entry level Sport and top grade Touring, and prices will start at $13,980 and $15,435 respectively (or $16,235 for a Touring version with four-speed automatic transmission). Rios is really an awesome vehicle! I must say that it is one of the best city cars that I saw today! It looks so stunning and awesome on that. I just only hope that it has an impressive engine. Rio maybe looks so simple, but it still looks very classy on its sleek body paint, and I love the formality that this one had. I also noticed that its engine is not so powerful but kind of impressive for this sedan. Kia Rio debut definitely an exclusive luxury car I’ve d seen. The combination made to the car gave an extended powerful description to it. Very enhanced and formal. This one is a surprisingly good looking car. Those curves really give it a rather sleek design and the wheels are also nice. Too bad that the engine options are very limited at this time. This looks like the new Kia has updating new boost up technology enhancement to become the most efficient car performance, The new Rio will ready to compete to other competitors. I definetely love this car, It obtain interior clean sophisticated theme that shows professionalism and the car has its owns characteristics that makes your feelings with wide and space to make you comfortable on it.